We’ve all been taught the same thing when it comes to buying real estate, luxury or otherwise- it’s all about location, location, location! While finding the perfect luxury home in a prime location is important, there are other considerations that might fly under the radar when house hunting. 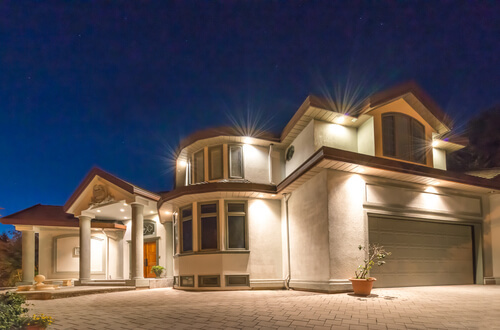 In order to ensure you get your money’s worth in your luxury home, heed the following advice. Even more importantly, however, is making sure you protect your investment with a customized Ann Arbor High-Value Home Insurance policy. Everyone wants natural light and a beautiful view. After all, it wouldn’t be an ideal luxury home without an unobstructed picturesque view of a river, mountains, ocean, or a skyline. Make sure no future developments threaten your beautiful view, as well. Whether you’re looking for a sleek modern home or a shabby chic countryside manor, look for unique architectural accents. Arched doorways, floating staircases, floor to ceiling windows and more can add significant value to the property. They’re a primary source of heat and cooling loss. They should be double-paned and heavily insulated to protect against weather and noise, says Forbes. Not only will this create more light and increase the functionality of the home, but it will make a focal point in the room and allow even more views. Vaulted ceilings are ideal in luxury homes. Not only does it give the home a more open, spacious feeling, it will create drama and beauty in the space. While this may be subjective, neighborhoods with great reputations tend to hold their value more often than not. Research the prime locations you are considering and see what amenities, school districts, and luxuries it has to offer.